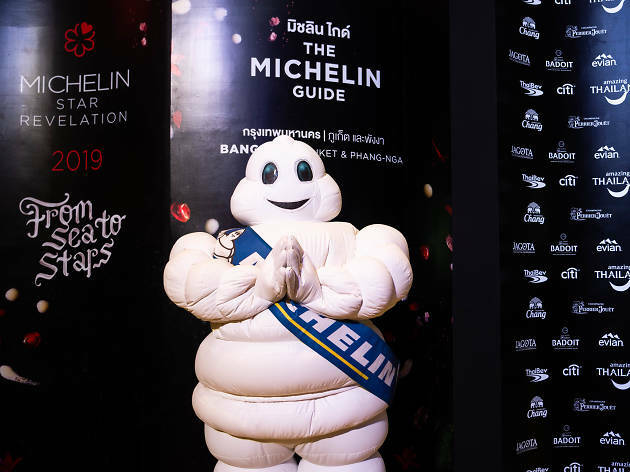 Michelin today (Nov 14) reveals the second edition of Michelin Guide Thailand, Michelin Guide 2019 Bangkok, Phuket and Phang-nga, at the star revelation event at Park Hyatt Bangkok. 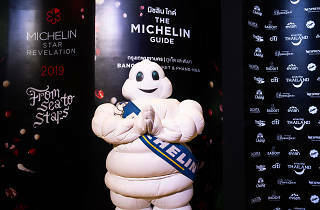 217 restaurants make it into this year’s red-covered guide, while 27 (26 in Bangkok and 1 in Phuket) are lauded with stars. New entries for one Michelin-starred restaurants include Canvas, Gaa, Le Du, R.Haarn and Saawaan, while Pru is the only restaurant in Phuket to receive a star. The recently-opened Southern Thai restaurant Sorn also received the coveted awards. To many's surprises, old-school eatery Methavalai Sorndaeng on Ratchadamnoen also joins the one-starred pack. Unlike last year guide which only focused on restaurants in downtown Bangkok, this year's Michelin inspectors also explored restaurants in Bangkok vicinity with one star given to Ruen Panya in Samut Sakhon and Suan Thip in Nonthaburi. All the restaurants received the stars last year retain the same amount of stars, except the modern German restaurant Sürhring who receive two Michelin stars. Thailand is the 29th country in the world to have a self-titled Michelin Guide, one of the world’s most respected dining guides, known for star ratings given by anonymous and independent inspectors following five criteria: (1) quality of ingredients (2) mastery of cooking methods (3) chef’s personality (4) value for money and (5) consistency. After the first year in 2017 which highlighted restaurants and eateries in Bangkok, the second year has gone beyond the capital to explore the budding food scene in the tourist hotspots in Phuket and Phang-nga, as a 4.1 million-dollar effort by Tourism Authority of Thailand to attract food-loving tourists. Phavitch Theeraphong, “Bank” is a writer for Time Out Bangkok and a professional food, dark chocolate and French bull dog lover.